For over 30 years, National Gear Repair has been providing Eaton pneumatic and hydraulic cylinder repair and re-manufacturing. Our repair and remanufacturing services include in-house manufacturing of all major internal components such as rods, pistons or packing glands that meet or exceed OEM specifications. Where rebuilding or refurbishing of Eaton hydraulic pumps and motors is concerned, our engineers and technicians service and replace all soft components. This is often achieved by using reverse engineering techniques, laser alignment, and pressure testing. Years of wear and tear can render your Eaton pneumatic and hydraulic cylinders, pumps, or motors useless. This not only hampers your normal course of operations, but also results in costly downtime. When you need performance stability even in the most demanding applications, Motor & Gear Engineering, Inc. is your partner of choice. Our hydraulic cylinder specialists have more than 40 years of combined experience in repairing and remanufacturing Eaton cylinders. The management team and crew are dedicated to giving our customers the best service available. We can repair your obsolete cylinders or design and build you a custom cylinder. 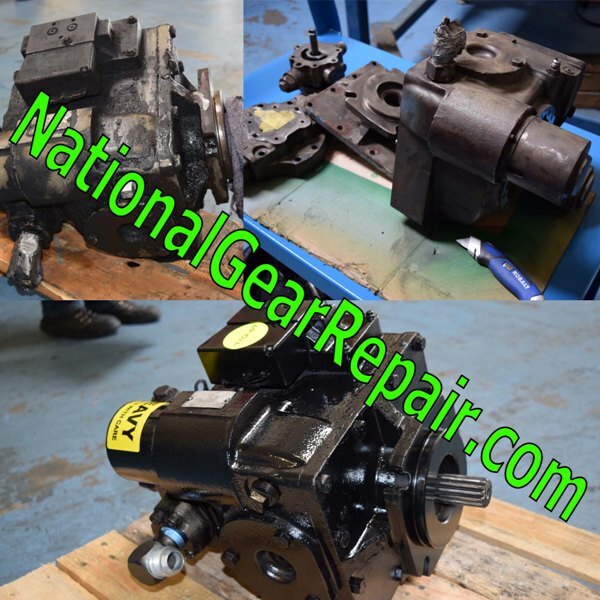 Call National Gear Repair Today, for all of your Eaton pneumatic and hydraulic cylinder repair and rebuilds your company needs!